This past year has been a busy and successful one for the TIGERS® Success Series. With growing membership, a successful 6 Principles That Build High Performance Teams Leadership Clinic, team building blog and team building activities, we have high hopes for the start of 2015 and beyond. We started the month off with part one of the 2014 four-part recap series. Last week we reviewed all of the blog articles we posted in the Polls, Research, and Surveys category. This category focuses on 2014 surveys, polls and other research that applies to workplace culture, team building and productivity in the current economic environment. This week we are moving onto the Management, Leadership, and HR Issues category. This year was full of helpful articles in a variety of topics in this category, including topics on delegation, employee benefits, necessary leadership skills and employee satisfaction, among many others. So no matter your interests or needs in this category, you are sure to find a helpful topic in this list of 2014 articles. So without further ado, here are the 2014 articles. 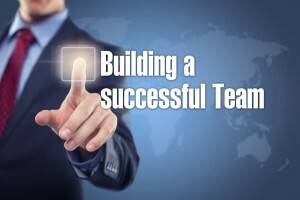 Do Small Business Owners Have Time For Team Building Activities?